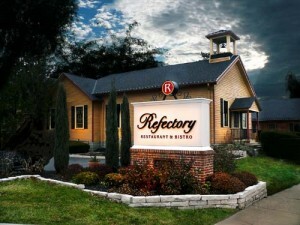 Long regarded as one of the top destinations for fine dining in Central Ohio, The Refectory Restaurant & Bistro celebrated 40 years in business in 2016. In 2012, The Refectory began to host music events in its upstairs private Choir Room. They began with a Jazz Dinner Club format with a front and center performance, rather than “background music.” The restaurant only hosted six events that first year, but now has grown to include many types of musical performances including the Jazz Dinner Club, Chamber Music Series, Opera Columbus and more. 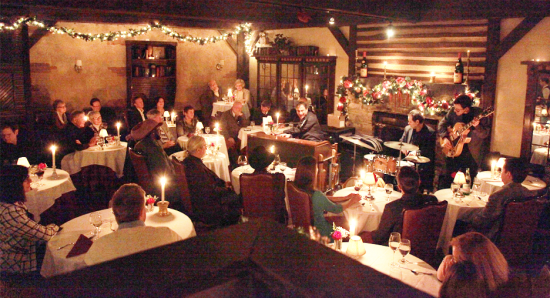 They now host an average of six jazz events per month in what many call Columbus’ most intimate jazz dinner club! Their jazz series regularly features Columbus greats like Tony Monaco and Bobby Floyd, and on occasion Byron Stripling, Phil Clark, SpeakEasy, and many more, as well as up-and-coming touring acts. Each jazz event features a special four-course dinner served with the live performance. With the special nature of these concerts, there are guidelines that the audience should be aware of. Seating is limited, so please call 614-451-9774 for reservations. Guests may arrive between 5:30 to 5:45. The first two or three courses will be served between 6:00 and 7:00, and the concert performance begins at 7:00.